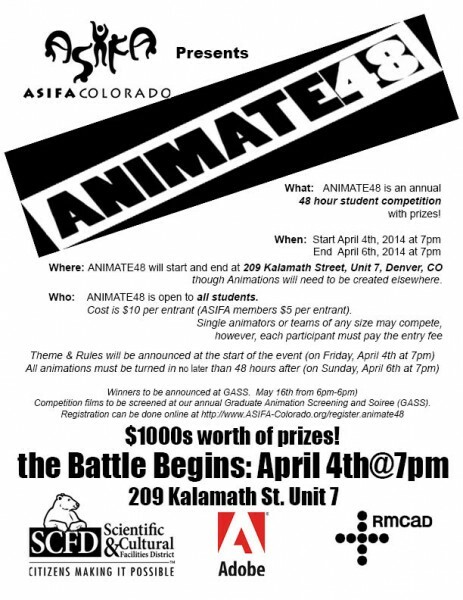 » ASIFA-Colorado announces ANIMATE48 – 48 hour Animation Competition! ASIFA-Colorado announces ANIMATE48 – 48 hour Animation Competition! Competition starts April 4th, 2014 at 7pm at The Bolt Factory Unit 7 on the West side.